Wahh!' in India is a popular word that expresses 'Great Inner Joy and Appreciation'...'Wahh!' 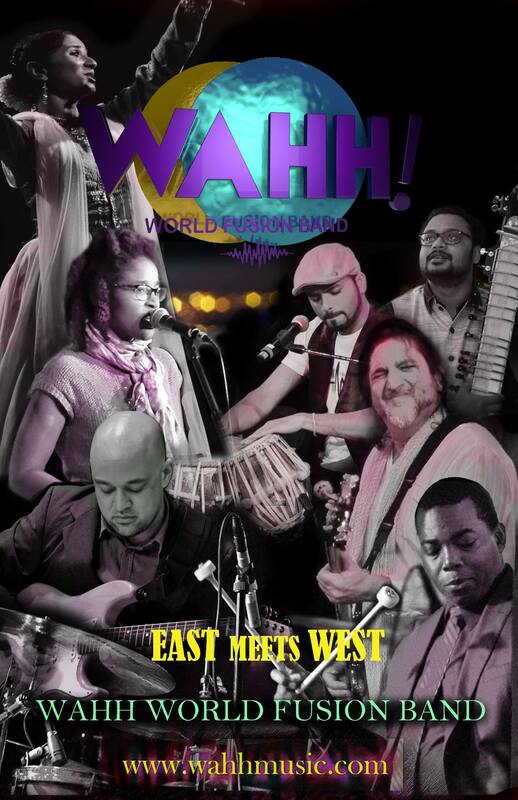 is a spectacular blend of East meets West in true Fusion Music style. Using the scintillating sounds of Indian Tabla and Vocal overtones, 'Wahh' fuses a modern approach weaved in with Sitar, Bansuri Flute, Western Drums, Guitar and Bass. Combining Indian Raga music and Western harmonic melodies with an infectious Rhythm section creates a strikingly impressive blend of Musical style and instruments. With such diversity, 'Wahh!' offers a wide appeal to all types of audiences. Captivating and musically luscious, 'Wahh!' performs regularly for various types of events including Festivals, Weddings, Graduation Parties, College Institutions, Cultural Shows , Private Events and Educational Workshops.